If your home has multiple types of electrical devices, it's easy for cables to take over and detract from your living spaces. Keep your cables organized and eliminate device clutter by incorporating these charging stations into your home. Keep your device chargers and your devices out of sight by concealing them in a drawer. 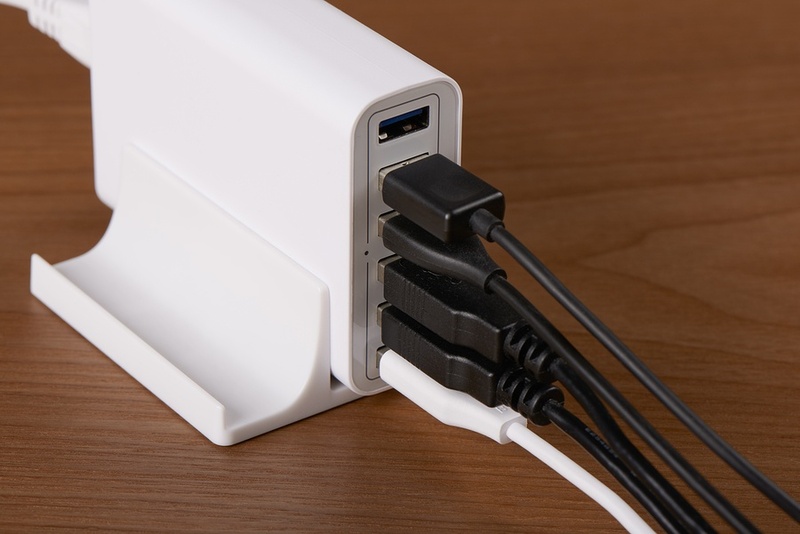 Add a power strip to the drawer's interior so that you can plug in multiple chargers. One benefit of this type of charging station is that you don't have to worry about someone inadvertently knocking a device off a shelf or a counter. If you have a cabinet that you're not using, convert it into a charging station by creating holes in the back to house and organize the charging cables. This alternative makes it possible to add a charging station to practically any room, and it is a smart use of shallow or irregularly-shaped cabinets that are otherwise too small to store items. Convert a letter sorting tray into a charging station for devices that you prefer to store flat, such as tablets, laptops and smartphones. Since the sorting tray has multiple layers, you may want to label each layer to indicate which member of the family it belongs to or which device charger it houses. This makes it simple to identify where each device goes. If your home has a mudroom locker with distinct sections for each family member to stow their coat, bag, shoes, and weather-specific accessories, add a charging station to each section. Not only does this let you customize the chargers for each family member, but it also eliminates arguments over which charging cable belongs to whom. You may require your kids to hand in their devices before bedtime; if so, this is an excellent way to determine which children have complied with your request.